Abba Eban, 17 January 1969. Cohen Fritz / National Photo Collection. 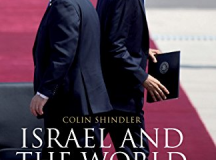 Asaf Siniver’s biography of Abba Eban tells the story of an entirely exceptional man who by the age of 35 was Israel’s Ambassador to both the United States and the United Nations. Having graduated from Cambridge with a rare triple 1st in Classics and Oriental Languages, Eban served in British Army intelligence during World War Two, and later as a Liaison officer between the Haganah in Palestine and the British Secret Service. In 1959 he entered Israeli politics as a member of Mapai and served as Foreign Minister between 1966 and 1974. After departing politics in 1988 he lectured at Princeton, Colombia University and George Washington Universities and published several books. Calev Ben-Dor: Like Eban, I grew up in England in a Zionist home and then moved to Israel, so he has always been an inspiration to me. What led you to write his biography? Asaf Sinever: For many years I was very interested in him. He was always there in the background, whether as ambassador in the 1950s or as foreign minister in the 1960s and 1970s; yet, whenever I wanted to read more about him, I only came across his autobiographies. They are fantastic but – like all autobiographies – have their own strengths and weaknesses. 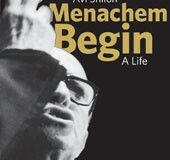 While other Israeli leaders, such as Ariel Sharon, Menachem Begin, Golda Meir, Yitzchak Rabin and Shimon Peres had dozens of biographies written about them, there was only one biography of Eban, written back in 1972. 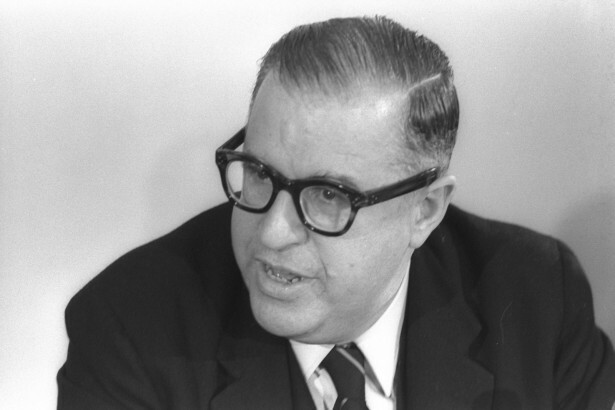 Abba Eban was one of the most revered statesman of the twentieth century and one of the founding fathers of the State. While many people know who he was, they often don’t appreciate the complexity of his story. At the age of 35 (the same age I myself when I started writing this book) Eban was Israel’s ambassador to both the United States and the United Nations! And it was really in that period – where the Jewish people were fighting for their survival and independence – when Eban became ‘the voice of Israel’. CBD: What was Eban like as a person? AS: Eban had colleagues and acquaintances but he lacked friends – certainly in the political world. In fact, one of his colleagues at the Israeli Embassy in the 1950s said that ‘Eban suffers from low blood pressure and high indignation.’ And I think that captures everything. Eban was not very good at making friends, or making alliances. Eban’s family and colleagues thought of him as very shy. He would even sweat profusely when he had to make small talk, and was petrified of talking about things like football. Those who didn’t know him could think him aloof, arrogant or condescending. CBD: Eban was an internationally respected statesperson – someone who US President Lyndon Johnson referred to as being one of the best spokesmen he had ever heard and whose speeches were said to be worth ten army divisions – but as an Israeli politician he failed to leave his mark. Why? 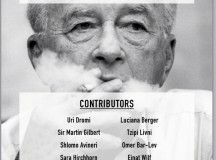 Of the approximately 25 people who comprised the political elite of Israel between 1948 and 1968, Eban is the only one whose mother tongue was English as opposed to Yiddish, Russian or Hebrew, the only one not born in Poland, Palestine or South-East Russia, and the only one who did not settle in Palestine in the 1920s and 1930s. So his experiences made him very different, as did his world view. CBD: How did Eban’s world view set him apart from his peers? Eban’s internationalist approach meant that he always viewed Israel’s actions and policies through the prism of international law, justice and morality. Many thought he had an excessive deference towards world opinion, but Eban thought that opinion was absolutely essential for Israel’s security. He promoted the idea that Israel should obey international laws and norms. Eban also stood apart from his colleagues by emphasising the need for Israel to negotiate with its neighbours, while other people in the government, such as Moshe Dayan, Golda Meir and Menachem Begin, thought it would be disastrous to make any concessions to the Arabs. Eban insisted it was absolutely crucial to develop and sustain a mystique of peace in Israel. When he coined this ‘mystique of peace’ phrase in 1968, Shimon Peres thought he was crazy and questioned why the Foreign Minister was talking about the mystique of peace when Israelis should be emphasising a mystique of security. 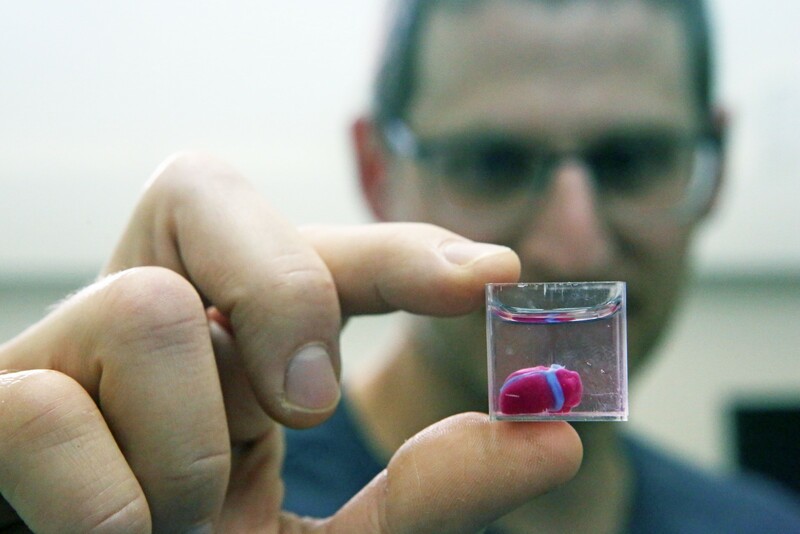 CBD: What might Eban think about today’s Israel? AS: In a sense Eban would repeat the same speech he gave back in November 1973 at the President’s Club in Washington in which he spoke out against certain illusions that Israel had succumbed to following the Six-Day War. In this speech he mentions ‘The illusion to think that a million Arabs would be kept under Israeli control forever; the illusion that Zionism forbade the sharing of additional sovereignty between two nations in the former Palestine area; the illusion that Israel’s historic legacy was exclusively a matter of geography and not also, and principally, a heritage of prophetic values of which a central value was peace; the fallacy that to see anything temporary in some of Israel’s positions west of the Jordan was tantamount to alienation from the biblical culture; the fallacy that a nation could not be strong unless it demonstrated its toughness in every contingency.’ In short, just as he was 40 years ago, Eban would today still be Israel’s moral compass. CBD: What were Eban’s views on the future of the West Bank? Despite this, unlike many others in the cabinet following the Six-Day War, Eban had no specific plan to his name for resolving the question of the newly captured territories. His views on the Palestinian question evolved over time. While he thought that Israel should not continue to exert its control over the people, he did not speak of a Palestinian state until the early 1990s. Rather, between the 1960s and 1990s he referred to the Benelux model of some form of federation between Jordan, Israel and an autonomous Palestinian entity. In the 1970s very few people in Israel – apart from some on the far left – spoke about a Palestinian state. Later, he came to believe that the Israeli government could have done more. He thought the idea that the PLO was a great empire looking to wipe Israel off of the map was ludicrous. He thought that due to the balance of power being in Israel’s favour, it was up to Israel to make the first step. He was very supportive of the Oslo Accords and was dismayed by the collapse of the peace process. CBD: Is there such a thing as an Abba Eban legacy? AS: When I started to work on this book, this was one of the key questions which bothered me. In fact, in all of my interviews, this was always my last question. Some of the 40 people I spoke to said that Eban was the father of Israeli diplomacy – he composed a long study about what it means to be a Zionist diplomat in 1944 at the age of only 29, and he drafted UN Resolution 242 in November 1967. In my opinion, the one area in which Eban certainly left a legacy is in marrying Zionism and peace together. Nobody in the history in the State of Israel – and probably nobody in the history of the Jewish people – has so eloquently defended the right of the Jewish people to self-determination, whilst at the same time acknowledging the equal right to the same concept of a different people. His refusal to judge Israel’s actions and policies in absolutist terms stood him apart from his contemporaries. 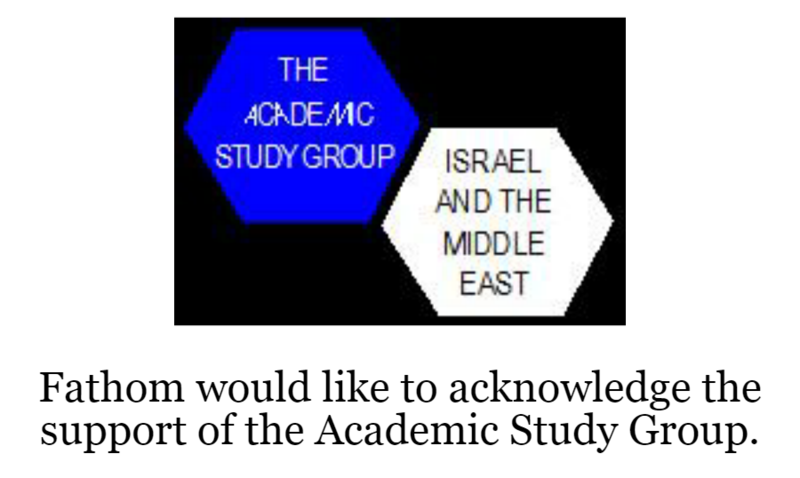 Nobody has done a better job at defending Israel abroad whilst simultaneously alerting it to its faults at home. Nobody has carried this message more persuasively and more eloquently, to more countries, and in more languages, and to more people. For these reasons I see Abba Eban as the greatest emissary the Jewish people have ever had.